Reporting to the Head of ICT to provide technical design and support for the Local Area Network (LAN) and Wide Area Networks (WAN) IT infrastructure including the management and security of switches, routers, firewalls, and servers for our client company based in Northampton. We are looking to recruit an MCSE (Or part qualified / similar) qualified IT / Infrastructure manager who will take responsibility for the provision and support of infrastructure and network services for this national organisation based in Northampton. Reporting to the Head of ICT, your team will provide technical design and support for the Local Area Network (LAN) and Wide Area Networks (WAN) IT infrastructure including the management and security of switches, routers, firewalls, and servers for this 500 user network. This is a very technical role, and you will take final level (3rd line) responsibility for technical issues and in general, you should have expert knowledge of typical Microsoft & Cisco based infrastructure / networks, and while we are classing the MCSE as the benchmark requirement for the role, any additional Cisco accreditation would be viewed as an advantage. This is a management position, but still very much hands on and I would say the position is a 75% to 25% bias regarding technical over management. On that basis, we will consider applications from applicants that are maybe looking to move into a formal management role, but still want to remain very much technical. On this basis, you should have some form of previous leadership experience - project management, team leader, mentor to junior technicians etc. *	Design, configure, and support the LAN and WAN infrastructure. *	Maintain network hardware and software. *	Monitor network to ensure availability to all system users and perform necessary maintenance. *	Plan, co-ordinate, and implement network security measures. *	To manage performance tuning and capacity planning activities to enhance the reliability of the IT systems. 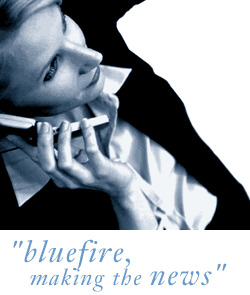 *	Backups and replication of business critical services to assist with disaster recovery. *	Firewall design and implementation and enforcement for company ICT security. *	Maintenance of email and communication servers. *	Working with the Service Desk Team Manager, analyse user support statistics and other data and recommend appropriate measures. *	Systems wide patch management and security software implementation. *	Provide scalable infrastructure for ICT business projects. *	Considerable network system design and development methods and techniques. *	Extensive knowledge of computer network system protocols. *	3rd line experience of network and server infrastructure. *	MCSE Certification or equivalent (MCTS or MCP`s) is essential. *	ITIL V3 Foundation Certification is desirable. Working week is Monday to Friday for 37.5 hours with the flexible attitude required that would be expected of an experienced infrastructure manager.